KISUMU, 16 January 2012 (PlusNews) – Involving men is increasingly being promoted as a key element in the prevention of mother-to-child transmission of HIV, and while its benefits are well-documented – in one Kenyan study it reduced the risks of vertical transmission and infant mortality by more than 40 percent compared with no involvement – it can occasionally lead to domestic discord and even violence. 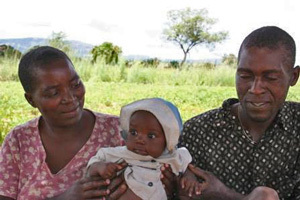 In 2009, Human Rights Watch (HRW) cautioned the Kenyan government to ensure that human rights were protected during a large-scale home-based counselling and testing programme; HRW noted that HIV-positive mothers – among them girls under the age of 18 – sometimes suffered violence, mistreatment, disinheritance, and discrimination from their husbands, in-laws, or their own families. Some women, too fearful of the repercussions of revealing their HIV status to their husbands, opt out of PMTCT programmes altogether. “A woman comes to the facility but the moment you mention her man, she disappears and might resurface to give birth – some go to traditional birth attendants,” said Julie Miseda, a nurse at Nyanza Province’s Siaya District Hospital. “Some will tell you they are not married but the day they give birth, a man appears and claims he is the father. “At times, involving both of them creates tension between them and they tend to keep very crucial information, for example, a history of a sexually transmitted infection, to themselves,” she added. According to APHIA Plus’s Misoga, to preserve the benefits of male involvement in PMTCT, health clinics had to become more aware of the counselling needs of men. “Despite the disadvantages, the benefits of male involvement are immense and what needs to be done is to make these antenatal clinics male friendly. It is also important to give constant information and messages targeting men on the need to be part of prevention of mother to child transmission programmes,” she said. THE registrar of political parties Lucy Ndung’u is investigating reports that political parties in the country are stealing and forging customer data from mobile phone money transfer services for use in the ongoing membership recruitment. The Political Parties Liason Committee has written to Ndung’u complaining that some of the political parties are flouting the law on recruitment of members in a bid to comply with the Political Parties Act. The Liason Committee chairman Nderitu Gachagua said they have received complains that some of the officials of parties in the country were allegedly using dubious means to register members in order to comply with the new laws. Gachagua said some party officials have invaded money transfer agents’ shops to corruptly retrieve the registered data of customers which include Identity Cards and use it to register people as members without their knowledge. “This is fraud and the Registrar of Political Parties should investigate and discipline those behind the syndicate,” Gachagua said. Gachagua who was with the Liason Committee’s secretary general Alfayo Agufana was speaking in Eldoret at a meeting with representatives of political parties. “We have already raised the matter with Ndungu and other relevant authorities for investigations,” Gachagua said. The United Republican Party associated with Eldoret North MP William Ruto will nominate its presidential candidate in April. Ruto will square it out for the party’s ticket with Trade Minister Chirau Mwakwere and Lugari MP Cyrus Jirongo when URP delegates converge at the Bomas of Kenya. The three are the only ones who have expressed interest in running for the presidency using the party ticket but URP says other candidates are welcome to join the party and seek its ticket. Acting chairman Francis Ole Kaparo yesterday announced that the party will also simultaneously hold its national election and the presidential nomination exercises on April 30. Ruto joined URP after ditching UDM due to wrangles. Before nominating the candidate, URP will conduct grassroots branch elections from March 28 to 31, following a nation-wide recruitment exercise that began yesterday. Speaking at the launch of URP yesterday, Ruto, Mwakere and Jirongo reaffirmed that they will support whoever will secure the support of the delegates to be the party flag bearer. Indications are that Ruto will be nominated as the sole presidential candidate, while Mwakwere becomes his running mate as Jirongo will be nominated for leader of majority in Parliament. Mwakere hinted that the URP may go for a compromise where the party luminaries will settle for the presidency, running mate and leader of majority. “For us what is important is not the president, but the presidency that will have a presidential candidate, running mate and leader of majority designate,” the Transport minister said. He said, the current constitution neutralises the president’s powers and thus gives equal power to the ruining mate and the leader of majority in appointing cabinet secretaries. “The president alone will not appoint cabinet secretaries as this will be done with the recommendation of the majority leader who will nominate the names for the president to appoint,” he said. Addressing more than 5,000 party supporters who turned up the the Bomas of Kenya for the launch, Ruto expressed optimism that his party would win the next elections. He used the platform to articulate the policies his party will seek to implement, including job creation, education, healthcare, food security and infrastructural development. Ruto and his allies too took the opportunity to expound on the party’s main platform of family values as a key campaign ideology. He said that the country is under threat from immoral perversions that greatly threaten the fabric of the society. “Our societal fabric is under threat; our family is under attack. Every Kenyan must stand to protect the family from perverse and immoral activities that include drug abuse,” he said. By advocating for strong family ties, the URP says that national development, unity and security will be ensured since the family is the basic unity of the society. The Eldoret North MP said that URP will give Kenyans a comprehensive medical insurance programme that will ensure that all citizen have access to healthcare. “It is a shame that hundreds of Kenyans continue to die from curable diseases for lack of a healthcare programme,” “The URP will come up with a universal National Health Insurance Fund, that will be funded by both the government and individuals to ensure all Kenyans have accesses to treatment,” he added. Among the policies that URP will be pushing include double digit economic growth and a youth programme that seeks to generate millions of jobs. “My government will come up with a Youth Marshal Plan that will mainstream participation of the young people in transforming the nation. This country has 70 per cent of its population as youth,” Ruto added. Another promise is the construction of a standard gauge railway in the first two years of a URP government. Jirongo, who is also the Lugari MP, said corruption has caused the country to stagnate for three decades. He said should URP come to power, corruption would be a thing of the past and the country would experience an economic boom. Ironically, a Sh500 note was nicknamed ‘Jirongo’ in the 1990s, when the Kanu government minted billions of shillings to fund its re-election campaign, with the Youth for Kanu (YK92) associated with him and other politicians accused of plundering the economy. Mwakwere explained why he had decided to quit Shirikisho party to join forces with Ruto. “A saying in my native Digo says that if you want to go far, go alone but if you want to go further, go with others,” he said. Information minister Samuel Poghisio who is also Vice President Kalonzo Musyoka’s Wiper party chairman said Ruto was welcome to join forces with Kalonzo and Deputy Prime Minister Uhuru Kenyatta to form a winning team. Assistant minister Linah Jebii said she was waiting for Parliament’s term to expire before decamping to join the URP. NAIROBI, KENYA – A Sunday morning drive in this East African capital is a journey through a sea of burqas. Young Muslim women tiptoe through the muddy streets of the neighborhood known as Eastleigh, dressed in long, flowing Islamic garments in shades of yellow and baby blue. In sandaled feet, children at their heels, they navigate the massive craters that dominate the streets. Recent rains turned the potholes into lakes, bringing traffic to a standstill. Many of the Muslims come here from neighboring Somalia, a lawless land where Kenya recently deployed troops in pursuit of an Islamic terrorist group. In Eastleigh, hand-painted signs denote what buildings are — and aren’t — for sale. 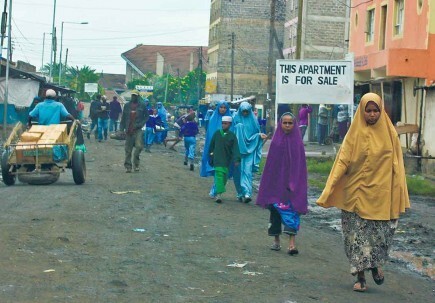 Somalis have bought much of the neighborhood’s real estate, presumably with money plundered by pirates. A security guard opens the gate and waves as church members arrive for worship. Inside its high walls, the church’s paved parking lot and manicured lawn are a stark contrast to the world outside. A massive auditorium dominates the courtyard, surrounded by multi-level classroom buildings. During the week, the compound is the home of a church-run technical college. Sounds of a cappella singing echo from the auditorium. Inside, nearly 400 Kenyans raise their voices as song leader Samuel Muthike leads hymns in Swahili, “Leta Mavuno” (“Bringing in the Sheaves”) and “Kumtegemea Yesu” (“Leaning on the Everlasting Arms”). Kenyans — regardless of creed — see daily the connection between bread and life. All around Nairobi, a terrible drought has gripped the region, causing widespread hunger and death. Especially hard-hit is Somalia, where the famine has driven many Muslims from their homes to the Eastleigh church’s doorstep. As they pray, Mwambisi and his fellow believers focus on the spiritual sustenance that comes from God, and his promise never to leave them hungry. Nairobi is a hub for traders, travelers and Western tourists who stop here on their way to view East Africa’s elephants, lions and even pink flamingos. A tapestry of races, religions and nationalities comprise the city’s 3.3 million inhabitants. Most coexist peacefully, but ethnic and religious tension has scarred the city. A monument in downtown Nairobi honors the more than 200 Kenyans and Americans killed when a truck packed with explosives detonated outside the U.S. embassy on Aug. 7, 1998. An Egyptian terrorist group carried out the attacks, coordinated by Muslim fundamentalists including Osama bin Laden. More recently, in the midst of the famine, Somali militants kidnapped foreign workers bringing aid to eastern Kenya. The Kenyan military invaded Somalia to hunt down the militants. A Somali terrorist group, al-Shabaab, promised retaliation. Weeks later, a grenade attack at a Nairobi bus station was blamed on the terrorists. Evidence of the heightened tension is easily seen in Nairobi. At an upscale grocery store, security guards search purses and pat down shoppers. Hotel clerks pass minesweepers under cars before opening the gates. Despite the tension, the children she teaches in Bible class, ages 2 to 13, run, jump and laugh as they play on the green soccer field behind the church building. “I want to follow in the footsteps of my grandfather,” says 14-year-old Eugene Masitsa, a third-generation church member at Eastleigh. Natalie Sumbi and Chelsea Kwayesa, ages 10 and 12, say they love learning Bible stories, especially the parable of the prodigal son from Luke 15. The parable “shows how people can forgive and forget,” Kwayesa says. Most of the children’s parents come here from outside Eastleigh, Auma says. Her class attendance has dropped slightly as church members move farther away from the neighborhood. The church is multinational and has four Sunday services — one for Kenyans and English speakers, a second for immigrants from Ethiopia, a third for French-speaking Congolese Christians and a fourth for the hearing-impaired. A few Somalis are Christians, says Lydia Wanjiku, a longtime member of the Eastleigh church. For security, they meet in a private home. Recently, a Somali was assaulted for carrying a Bible. “I am praying for calmness, especially in this area,” she says, adding that the church has, thus far, coexisted peacefully with its Muslim neighbors. Wanjiku, who grew up in the slums of Nairobi, was the first student to enroll at the school that meets here — the Kenya Christian Industrial Training Institute. Now an accredited, two-year Christian technical college, the institute trains more than 500 students per year in information technology, business, auto engineering, electronics and Christian ministry. Wanjiku is the school’s top administrator, a job she took over from longtime missionary Berkeley Hackett, who resigned after 14 years to concentrate on preacher training. The institute, known as KCITI, has Muslim students, Wanjiku says. After Sunday worship, nine Kenyan men and one woman don caps and gowns and form a line outside the auditorium. Each participated in a yearlong intensive ministry course sponsored by the institute. Most of the men preach for Churches of Christ across Kenya. “This was quite a sacrifice for their congregations,” says Hackett’s wife, Charlotte. Some of the students received financial support from the U.S., but the congregations for which they preach supplied them with food and additional support as they studied. The Saturn Road Church of Christ in Garland, Texas, sponsors the Hacketts and the preacher training program. Before handing them diplomas and posing with them for photos, Wanjiku challenges the students to put into practice the knowledge they gained through the program. After the ceremony, Harrison Omari smiles as he receives congratulatory hugs from his fellow students. Omari’s path to the Gospel was an unlikely one. He once was an instructor of Islam and had memorized the Quran. But a group of Christians refused to give up on him, and after four years of study, he was baptized in 1994. “Some of his relatives said he should be killed,” Charlotte Hackett says as she interprets for Omari. But the convert remains steadfast in his faith. He uses his knowledge of the Quran to reach other Muslims and preaches for the Kidomaya Church of Christ, an 80-member congregation in the seaside city of Mombasa, Kenya. Many of the church’s members formerly practiced Islam. During his year in Nairobi, he walked outside the protective gates of the church compound and preached on the streets of Eastleigh to anyone who would listen. He also dreams of the day when his countrymen, hand-in-hand with Somali converts, plant new congregations in Somalia itself. Bronx, New York City. On a beautiful summer day in June 2009, an African pastor named Dr. Mensah Otabil delivered a prophetic sermon that would define the destiny of US-based African immigrants forever. “African immigrants in the U.S should not see themselves as immigrants. Instead, you should see yourselves as pioneers (first settlers) paving the way for the next generations. Whether you like it or not, your children will never go back to Africa. This is the great migration. You have come here not out of your own desire. You have come here because of difficult circumstances in your home countries. What you see today as a painful legacy will turn out to be a blessing in the future. 100 years from now, your children will be Presidents, Lawyers, Chief Justices, Ambassadors, Teachers, Doctors, Nurses, Judges, Soldiers, CIA Directors and Senators of the United States. Already, one product of this African migration is President Barack Obama”. Coming from a well respected, international pastor and a great motivational speaker who started his church in a small classroom and built it into a “conglomerate” of churches in over 20 countries around the world, University, Philanthropic projects, businesses and real estate assets, Dr. Otabil’s prophecy must be taken more seriously like a divine instruction. THE REALITY Fact is, every African wants to go back home, at least in theory. We all thought we would be here in the U.S for a short time, make some good money, turn around quickly and go back to Africa and establish something big. Done. No way. In reality, it’s a different game. Many of us have been here for a long, long time but have gone back to Africa only once or twice. Even when we do go, we are in a hurry to come back to the United States. Most of us have become U.S citizens, whether by birth or naturalization. Practically, we are Americans! As Dr. Otabil said, “we must see ourselves as pioneers and American citizens, not immigrants”. I remember watching a U.S TV series in which the lead star suddenly discovers that he is Jewish, after all. He burst into tears of joy and declared, “Oh God, I’m Jewish” and he cried like a baby. The first time this realization hit me, I felt very emotional. “Oh God, we are Americans!” Guess what, our destiny is now inextricably intertwined with that of the United States. If the U.S economy goes down or God forbid something terrible happens to America, we all go down. 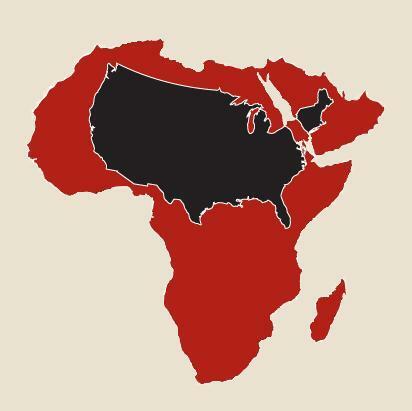 On the other hand, if America becomes paradise, all Africans living here will benefit…..our lives depend on America. Period. The argument is even more compelling when it comes to children of African immigrants. These African-born U.S citizens, who may be referred to as the third generation, hardly know Africa . Many have never set foot there, many speak little or no African language. I have been blessed with three of such kids. The sad truth is that the next generation of African-born U.S citizens may never go back to Africa. The Irish, the Italian, German, Jewish, Russian, Scandinavian and more recently Korean immigrants never packed bag and baggage and left the U.S for good. So why would Africans, especially when economic and political conditions at home are not relatively good? That does not mean we would abandon Africa. No way. Of course we are Americans but we will always be African in spirit. As the Irish-Americans still love Ireland and the Jews also love Israel, so would we love Africa. Make no mistake about that. estimates put that number at well over 5 million, including undocumented Africa immigrants. Several geopolitical and demographic factors are creating an entirely different landscape. In the next few decades, baby boomers will retire. The graying of US population and the hollowing out of the workforce will quicken. There will be a huge aging population expected to live on the average up to nearly 100 years. They must be fed and cared for. Pressure on the work force will mount. To be able to balance its labor force and maintain its strategic competitiveness, the U.S policy makers would need to act, as they have always done. They may well turn to African immigrants, among others, to fill the gap in the labor force. And for good reason. African population is the most youthful according to the United Nations. Two-thirds of the population are youthful and are under age 35. About 600 million youth are projected to be in the labor force by 2035. No other continent or region even comes close, not even India or China. To smoothly absorb these army of youth, African economies must at least triple the 5 or 6 percent current growth rates, qualitatively and quantitatively. In the absence of such growth, even regardless of growth, African youth may be compelled to migrate and flood the U.S and EU labor markets to seek greener pastures whether they exist or not. Also, African immigration quota is still paltry, possibly under 3 percent compared to India or other countries. There will be the need to increase this quota. The outlook is favorable to Africans. In the U.S, Africans and African-born U.S citizens are largely perceived to be peaceful and hardworking and relatively trustworthy. Such Africans are preferred Managers in stores, pharmacies, gas stations, and even some banks, not to mention hospitals and nursing homes. Even though some explicit and implicit forms of glass ceiling and cultural uneasiness still persist, they will disappear with time, naturally. It may be hard to tell, but in the coming years, U.S immigration policy may generally favor diversification away from Latin countries and increasing of quotas for non-Latin countries including Africa through such vehicles as the Visa Lottery and other policy instruments. The result of the above is that the African and African-born population in the U.S will continue to swell exponentially, and along with it the U.S African consumer market. ing the experience, education and training Westerners especially prefer; also they may culturally connect better with Westerners in particular. This will further increase the clout of U.S based Africans. OUT OF THE PERIPHERY AND INTO THE MAINSTREAM CONSUMER MARKET. According to the recent New American Dimension study, the U.S African consumer market is worth over $50 billion and booming. This is bigger than the GDP of dozens African countries. Some experts believe that within 5-10 years, the U.S African market may move from the periphery and well into the heart of the $10 trillion U.S consumer market. If current estimates hold, the U.S African market may well double in scale to over $100 billion by the year 2020. Already, some Fortune 500 companies including Procter and Gamble, Colgate Palmolive, BMW, and others are showing increasing significant interest in the U.S African Market and are stepping up direct consumer advertising in what they call multicultural marketing. Already, it is believed that about 50% of some remittance companies’ revenue comes from US-based Africans. Remittances from the U.S to Africa are going through the roof. According to the World Bank, in 2010, remittances from the U.S to Nigeria alone was $10 billion. $1 trillion African-African market and the nearly $800 billion Asian market, all of which were largely smaller only a few decades ago. THE NEXT LEVEL The truth is, the U.S has always been a land of opportunity and a nation of immigrants. Today, with the election of President Obama, all barriers have come down and everyone can achieve their dreams. For African immigrants, a great door of opportunity has opened. It’s time for mainstream African immigrants to move from the periphery and into mainstream American social, economic and political lives just as the Indian, Chinese and Korean immigrants have done. PLANO — A Plano man is in hot legal water after authorities accused him of entering into a fraudulent marriage in order to gain U.S. citizenship. Okey Festus Nwagbara, a 46-year-old native of Nigeria, was indicted by a federal grand jury last month on six counts related to the incident. This was the second round of federal charges Nwagbara has faced in the last three months, after having been indicted on health care fraud charges in October. According to court affidavits, Nwagbara entered the country legally in July 2001 and two months later was granted a divorce from his wife, Gloria Nwagbara, also a native of Nigeria. Nwagbara then married Stephanie McDowell, a U.S. citizen, in March 2002 and applied for lawful permanent resident status, which was granted in 2004 based on his marriage to McDowell. In July 2007 Nwagbara filled out an N-400 document, which is required to become a naturalized citizen. The application was approved and he became a citizen in January 2008. Federal officials insist the marriage was a sham, saying that Gloria gave birth to two children after the divorce, with Nwagbara listed as the father on both birth certificates. They also said Nwagbara lied on his N-400 when he said he had no children and lived with McDowell in Texas, as well as lying on other documents including an application for a loan for his Plano home in 2006. On the loan application, he answered yes to the question asking if he was a U.S. citizen. Two days after Nwagbara was indicted on the heath care fraud charges, McDowell spoke with agents from Homeland Security and provided the details of the alleged false marriage. Nwagbara and Bullard are facing six counts of committing health care fraud and one count of conspiracy to commit health care fraud. Nwagbara is being held at the federal prison in Seagoville and is not being offered bail because he is considered a serious flight risk due to his ties to Nigeria and because the government intends to begin the denaturalization process if it is proven he obtained his citizenship by means of fraud. Two key witnesses of ICC prosecutor Luis Moreno-Ocampo who were under protection abroad have decided they no longer want to testify. One of the witnesses has left the European country where he had been placed under protection while the other is seeking asylum in a different country. The witness seeking asylum is said to have been under pressure from his family to return home but he feared for his life and decided to settle elsewhere. He is now surviving in a European country with support from good Samaritans who pay for his upkeep as he waits for the asylum application to be processed. “I have credible evidence but I cannot testify in a hostile environment. I have been under pressure from my family to return home but I think it is unsafe and that is why I want asylum so that I can organize to go back home later,” the witness told the Star on phone. Reports indicate that the other witness has already arrived in Kenya. Last week, it was revealed that another prosecution witness had been arrested after he allegedly assaulted a protection officer following an argument. The two differed over whether the ICC should pay for the education of the witness’s children while he was under the court’s protection awaiting the start of the cases. The witness claimed the protection officer was disrespectful to him. The protection officer had accused the witness of nagging. The director of the Centre for Human Rights and Democracy Ken Wafula confirmed that he had received a report on the detained witness. Yesterday Wafula said they had asked the ICC to carefully handle its witnesses and restructure the witness protection unit. “It is an issue which the ICC has to tackle because it affects the lives of the witnesses and the ICC process itself,” he said. Several witnesses were flown from Kenya to Europe ahead of the confirmation of charges hearings. Some of their families in Kenya have received threats after the identities of some the witnesses was established. The witnesses who either testified or presented witness statements used by the defence fear their families may be targeted and intimidated in the event that the cases go to full trial. People looking for United Nations Ambassador Yvonne Khamati tried to gain entry into her Nairobi family home last year. Khamati gave a witness statement in support of Secretary to the Cabinet Francis Muthaura who is facing charges of crimes against humanity at The Hague. A group of men raided her Nairobi home on October 23 and threatened to attack the family with a grenade. Eldoret North MP William Ruto, Deputy PM Uhuru Kenyatta and Head of Civil Service Francis Muthaura, former police chief Hussein Ali, journalist Joshua Sang and Tinderet MP Henry Kosgey are the suspects before the ICC. Khamati was mentioned as one of Muthaura’s witnesses during the pre-trial hearing at The Hague. However, she did not give her testimony before the pre-trial judges. The incident came a month after the home of a witness in Nandi was invaded by villagers who attempted evict them. The family then escaped from Nandi and sought refuge at a relative’s home in Eldoret town. A group of youths stoned the house belonging to the witness at his father’s home in Nandi North. The windows were broken but no one was injured. 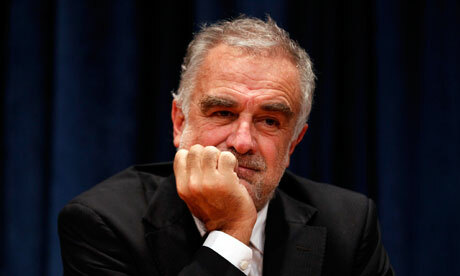 The ICC judges could confirm the charges against the Ocampo Six, ask for more evidence or drop the charges altogether. The judges could also confirm charges for some of the suspects and drop charges against others or ask the prosecutor to carry out further investigations. The problems affecting the witness have emerged just days before the ICC judges make their ruling on the fate of the six accused of perpetrating the post-election violence of 2007-08. The ruling is to be delivered on January 23 and has caused anxiety among the suspects and their supporters. Uhuru and Ruto are presidential candidates and their political ambition could be derailed should the judges decide to confirm the charges. The two have declared their innocence and hope that they will be cleared so that they have smooth run for the top seat in elections later this year. 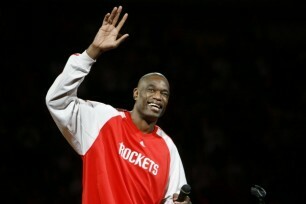 “He had an answer for everything,” St. Mary said of Mutombo as they went through the details of the proposed deal. Whose gold was it? It is with great sorrow that we announce the passing of our dear mom, Mrs. Grace Gathoni Gicheru also known as “Mama Gishe”. Our loving mom went to be with the Lord on the night of January 10 2012 at Brigham’s and Women Hospital in Boston, Massachusetts. 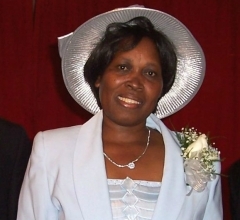 Mrs. Grace Gicheru (Mama Gicheru) earlier resided in Atlanta,Georgia where she attended Beulah Heights Bible College and was also a member of Christ Harvesters Ministries International in Marietta, Georgia. She later relocated to Boston MA where she was staying with her children as she underwent treatment. Mom was diagnosed with breast cancer in 1994, and was in remission until 2008 when she started getting treatment at the North Shore Cancer Center, and later in 2008, at Dana Farber in Boston. Her prognosis was hopeful but in the fall of 2010, mom started developing complications that compromised her hopeful prognosis, this led to her being admitted at the Brigham and Women’s Hospital in Boston MA on Thursday January 5 2012. Mom’s condition quickly got worse and on Tuesday January 10 2012 she passed away peacefully. Mom is survived by her 5 children; Anthony, Anne, Sarah, Maggie and Sammy. Their spouses Hiram, Laurie and Saron. Grand Children; Lynnette, Emma-Grace, Ethan and Ella. Mom was spiritual, loving, caring, considerate, genuine, and honest. We will keep her memory close to our hearts forever. May she rest in peace.